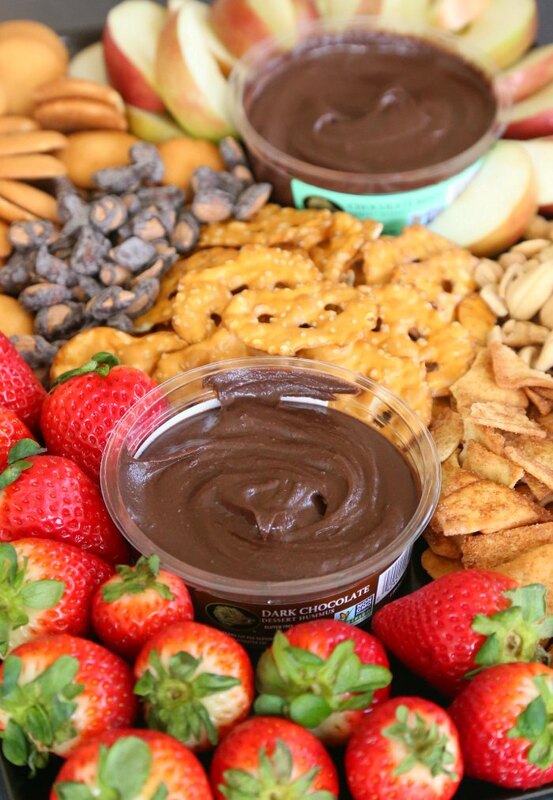 Treat guests to a sweet snack spread with a delicious dessert hummus platter – perfect for any party or gathering with friends and family! When it comes to entertaining, there’s two things I really love: hosting relaxed gatherings of friends & family at our house (especially now that our kitchen remodel just wrapped up) and serving up easy & delicious food spreads. One of our go-to options are various sorts of cheese boards or “snack” platters (my kids even like to call them “platter dinners”). I just love the easy, relaxed nature of it. We especially like them for football watch parties – so perfect! The possibilities are nearly endless, so for this one we put together a dessert platter. That’s right, I said “dessert hummus”. Have you had it? It’s SOOOO good! Even if you’re not a huge fan of traditional hummus (two of my boys are not), dessert hummus is worth a try! 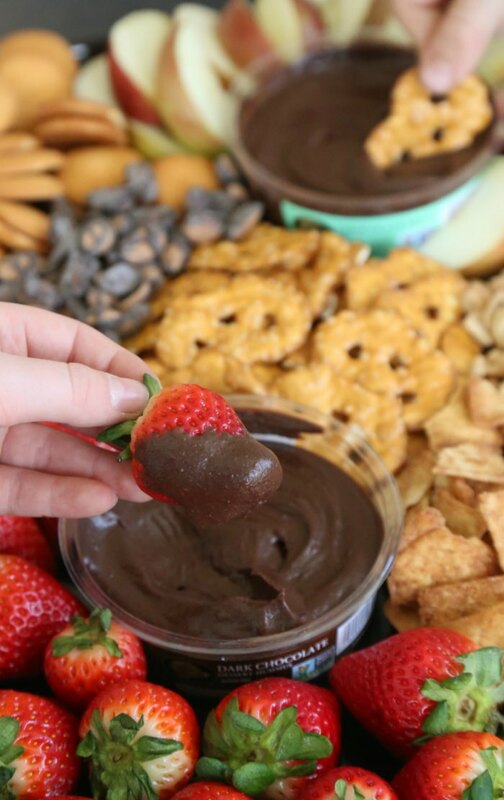 It just tastes like a delicious chocolate dip! 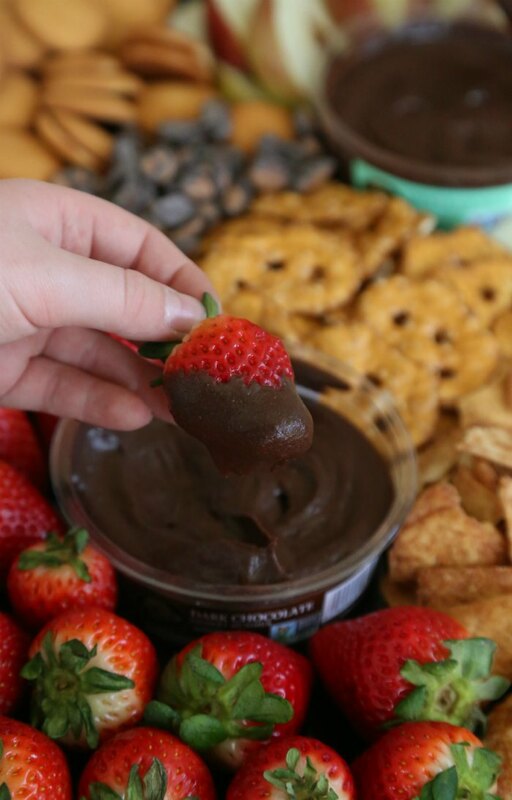 So, it’s a fabulous way to serve up a tasty dessert or snack. You can see that people didn’t hesitate to dive right in! I put this spread out during our last football watching party and plan to do it again for the super big football game coming up soon! For our platter, I used Boar’s Head Hummus (found in the deli section of my local grocery store). Every flavor we’ve had from them has been delicious! 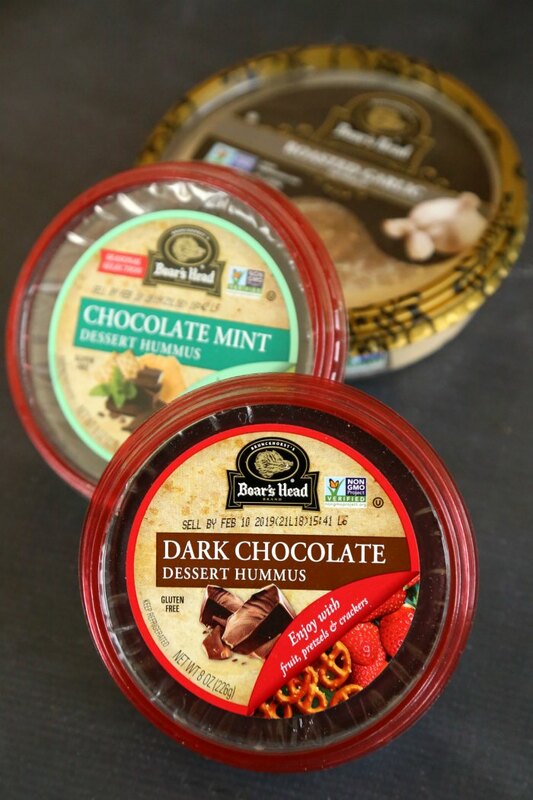 With 13 different flavors, you can opt for savory choices like Boar’s Head Traditional Hummus or Boar’s Head Everything Bagel Hummus, but there are also the sweet hummus options like Boar’s Head Dark Chocolate Dessert Hummus and Boar’s Head Chocolate Mint Dessert Hummus. I used both chocolate flavors for our dessert platter! Everyone here LOVES this hummus! It’s got such a smooth & creamy texture – a difference we notice with Boar’s Head compared to some other brands. Also, I love that the 1st ingredient in this hummus is chickpeas! Plus, the ingredients are all Non-GMO Project Verified and gluten-free, with no artificial preservatives, flavors or colors! So, it’s a product that you can feel good about serving to family and friends that tastes GREAT! SOOoooo good! I highly recommend a spread like this for your next party! 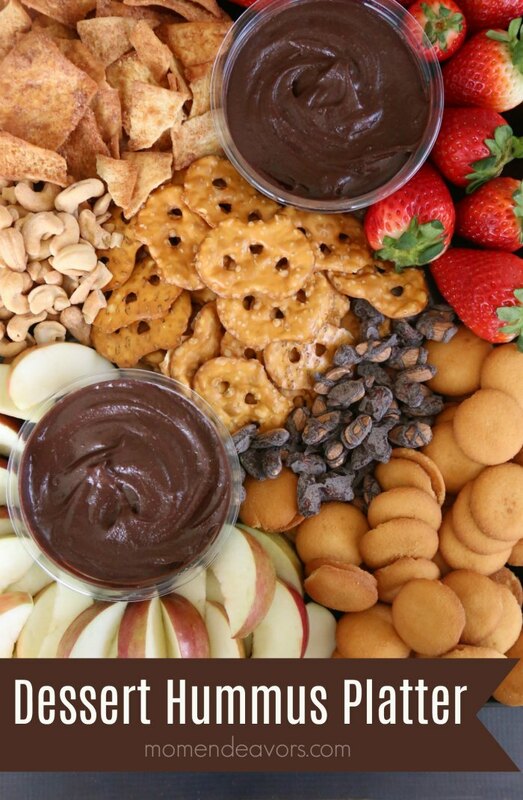 Whether it’s a fun, casual game night with friends or a super gathering for the big football game, a tasty dessert hummus platter is sure to be a hit! 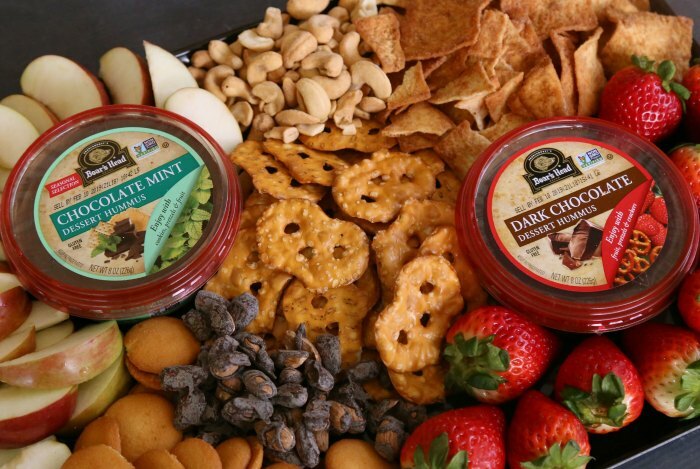 So be sure to look for Boar’s Head Hummus in the deli section of your local grocery store on your next shopping trip!